Nevine is a conscientious Physiotherapist offering greater than 22 years clinical experience. This includes > 10 years of musculoskeletal, spinal & core stability, COAD, some neuro experience, and more than 10 years of continence and pelvic floor physiotherapy. She has had experience working in hospitals, community health settings & private practices. 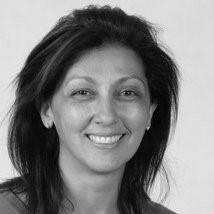 With a post-graduate certificate in continence and pelvic floor physiotherapy attained at Melbourne University in 2006; Nevine aims to update her knowledge with what is evidence based to treat her clients appropriately (ie with what is current and best practice). Nevine’s philosophy in life and in her work is “prevention is better than cure” and she has a niche and greater than 7 years’ experience in Vestibular & Balance Rehabilitation helping her clients prevent & /minimise falls and is competent with treating BPPV, vestibular hypofunction, vestibular neuritis, cerebellar ataxia and migraines. Nevine is well-versed in a broad range of PT programs: Spinal rehabilitation programs: core stability, Pilates, & functional restoration programs for Chronic Back Pain, Incontinence (urinary and faecal), Pelvic Organ Prolapse, vaginismus ,pelvic pain & SIJ instability , vestibular ,strength training, and musculoskeletal & sports physiotherapy. Nevine Eskander prioritises her time in listening to clients’ concerns, anxieties, and problems in relation to how they are affecting client’s quality of life, family, work, and sport. Her strength lies with identifying the root cause (s) of client’s problem & educating them about how they can relieve their pain, & stiffness; improve their strength, mobility, balance, dizziness & function. A mother of 2 children aged 10 & 14, Nevine can relate very well to children, mums and dads, grandparents; and with her past experience working in different health settings, she has treated numerous tradesmen and women as well as professionals. She is fluent in Egyptian and can speak some Italian. In her spare time Nevine enjoys reading the Bible, spending time with her children, bushwalking (1000 steps at the Dandenongs), running, and socialising- nothing like a café latte with friends.